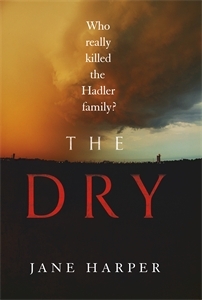 The Dry is a gritty, superbly atmospheric crime noir where the heat and tension in the small tight-knit community practically ooze off the page and the pages demand to be turned. Jane Harper weaves a net of intrigue packed with twists and turns, secrets and lies more than the odd red herring along the way. There’s a deft sleight of hand going on as the plot unfolds leaving you thinking that you’ve finally figured it out, only for the cards to be turned over one by one and, of course, the lady has vanished. The story reveals itself through the current day investigation by Falk and local cop Raco into the murders, but also via a series of flashbacks to Falk’s younger days growing up in the town with his best friend Luke. It’s neatly done and each time we jump back in time, something new is revealed which alters our perception on events both past and present. 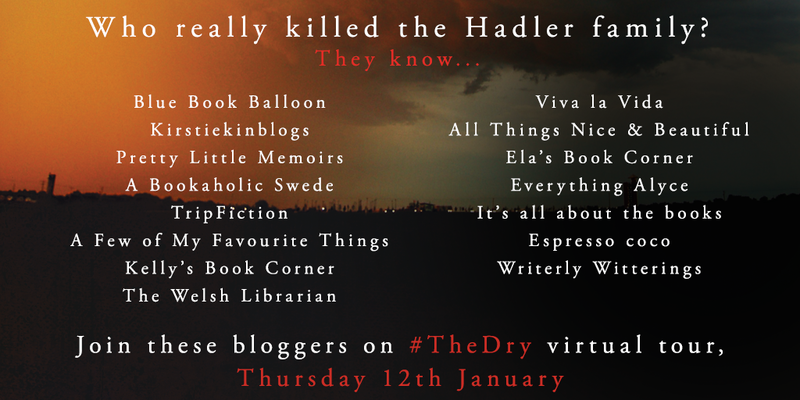 All the more spectacular for being a debut, The Dry should be quite firmly on your list of books to read in 2017. I will be very surprised if it doesn’t grace my books of the year list come December. You can find Jane Harper on twitter @janeharperautho, or at her website. The Dry is published by Little, Brown on 12th January 2017. Many thanks to Grace at Little, Brown for the review copy of this book.